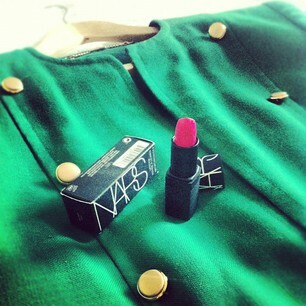 I'm in love with my newest, most favourite lipstick - Nars' Schiap. It earns its name from Italian fashion designer Elsa Schiaparelli (who had the nickname Schiap), whose signature colour was a bright, shocking pink. 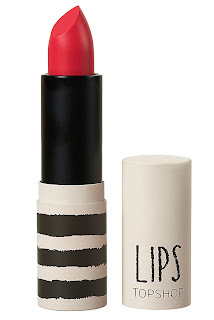 I'd first noticed the colour on Kate Bosworth, who is a great exponent of the full on lips, little other make-up look. And Emily Blunt shows brunettes how to carry of the colour, and also how to incorporate it into a red carpet look. I think the bright pink and green look sported here by Emily is really fresh, and I've adopted this look as my own, wearing thelipstick with my favourite green jacket, and other times with a cream blouse and these green earrings. It also goes brilliantly with anything gold - a particularly good summer evening look. 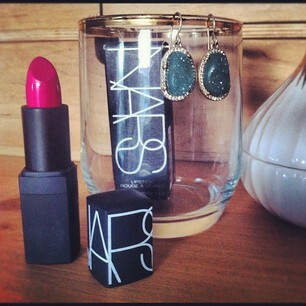 If you don't want to spend the money on Nars' Schiap, then this Topshop equivalent below is a dead ringer. 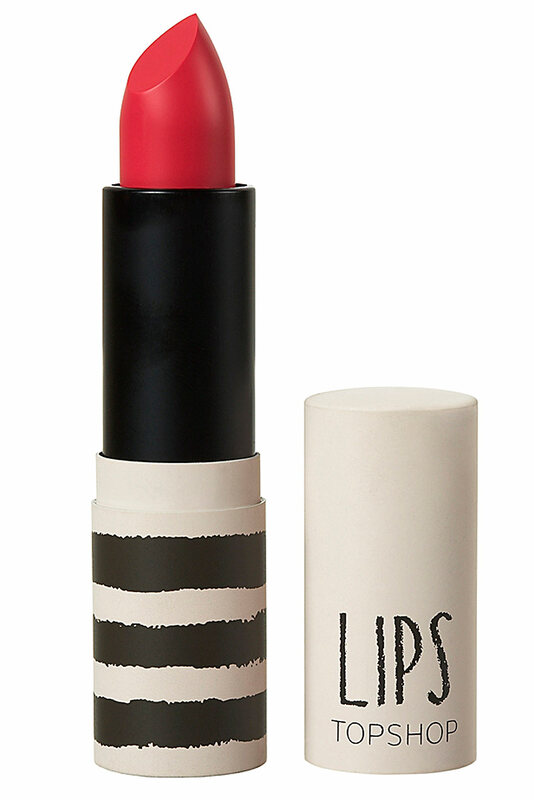 I'd steer clear of any gloss versions if I were you - they're a bit too much like raspberry jam to look chic.